This Tiny House is a comfortable, homey and energy efficient home for you! Best of all it can be hauled to your preferred location! Qualifies as an RV for financing! The well-maintained Tiny House might seem to be too small to live in, but step inside and you will be pleasantly surprised. 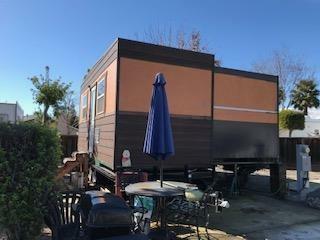 There is a pull-out extension that transforms this beauty into the perfectly sized Tiny House! 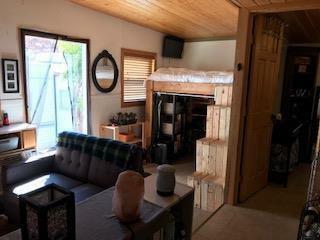 So cozy, yet so roomy! 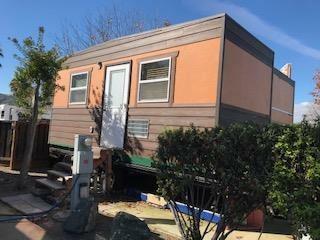 Make this YOUR perfect Tiny House! Use it as a college kid house, granny flat, man cave, or she-shack! Need a place to be away from it all? This Tiny House fits the bill. Place on your property temporary housing while building your dream home on your land! The possibilities are endless! 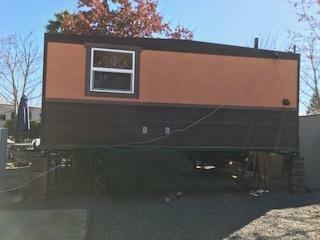 It is highly versatile as it is either a mobile or a semi-permanent home that can be readily moved with it's own trailer. It has a steel Skid Type patented Frame System that allows it to retract from approx. 16 ft. wide To 8 ft. 6 in. for easier transport.